Orange County is located in Central Florida bordering Seminole, Brevard, Osceola and Lake Counties. It is most known for it's largest city and metro area of Orlando. Orange County was established in 1824 from a portion of St. Johns County. Originally named Mosquito County from the name the Spanish had given the whole area "Los Mosquitos", it was renamed to Orange County in 1845 for the many orange groves in the area. Based in Orlando, FL, SellMyTimeshareNow.com offers many timeshares for sale in Florida as well as many one-time, weekly rentals. With a timeshare by-owner, you can skip the expensive resort fees and just pay the price the private owner set, usually at 60-70% off. Amway Center, located in Downtown Orlando, is a sports and entertainment venue. Home to the Orlando Magic NBA team and the Orlando Solar Bears ECHL team. Built with a capacity of more than 20,000 seats, the arena's urban setting, gives guests easy access to the Orlando entertainment core. Hosting concerts, events, shows and more, the area is designed to stage any event. Bright House Networks Stadium, also know as "The Bounce House" though recent renovations have made the bouncing effect less obvious. It is located at the University of Central Florida in Orlando Florida and home to the UCF Knights football team. The stadium has a capacity of 44,206. Camping World Stadium is located in Downtown Orlando Florida. It was formerly known as the Tangerine Bowl, Florida Citrus Bowl and Orlando Citrus Bowl. The stadium is currently home to the Buffalo Wild Wings Citrus Bowl, the Orlando City Soccer League, and the Russell Athletic Bowl and hosts other events, concerts and college football games. The Stadium Complex includes Tinker Field, McCracken Field, Thunder Field, and Festival Field when hosts events, concerts, sports, and community festivals throughout the year. CFE Federal Credit Union Arena, formerly the UCF Arena is a sports and entertainment arena located at the University of Central Florida in Orlando, Florida. Home of the UCF Knights mens and womens basketball teams, the arena also hosts concerts, graduations, theater, events and other sporting events. Orange County School District is based out of the Educational Leadership Center in Downtown Orlando. As of recent, Orange County Public Schools has an enrollment of over 185,000 students. The school district won the Broad Prize, also known as the “Nobel Prize” for Urban Education in October 2014 for strong academic performance and for closing achievement gaps. The Greater Orlando Actors Theatre’s goal is to provoke thought and communication through having traditional and avant-garde productions. They want their audiences to be enlightened and entertained when watching each production. They also want to challenge attitudes, stereotypes, and preconceived notions that people have about theatre. They are doing this by introducing their audience to contemporary concerns in each production they do. This small theatre usually produces between two to three shows a year. They also produce some musical theatre productions. You can catch this Puerto Rican cuisine food truck on Narcoosee Road in Orlando, FL. Bring your family and friends to try some tasty mofongo. They are open Wednesday to Sunday from 11:00 am to 10:00 pm. With only one store in the entire state of Florida, A Christmas to Remember is wonderfully unique store that is located in the Florida Mall. With decorations for the Christmas season to novelty gifts, there is a little something here for even the Grinch. The best way to get to this cute little store when navigating the Florida Mall is through the entrance near Footlocker. The Achilles Art Cafe is filled with artwork and colors, representing its owner's vibe. It serves coffee, tea, frappes, sandwiches, and more. The cafe is furnished with couches, making the atmosphere more comfortable and cozy for its customers. Adventist University of Health Sciences is an Orlando college that works with the Florida Hospital to train students in healthcare. It has Associates, Bachelors, and Post-Graduate programs in several healthcare industries. Aji Food Trucks serves tasty Peruvian cuisines on-the-go as a mobile food truck in Orlando, Florida. To find out their current location give them a call! The American College for Medical Careers is an Orlando college that trains students for medical careers. It has programs in dental assisting, cardiovascular sonography, diagnostic medical sonography, health information technology, medical assisting, medical coding & billing, and respiratory therapy. Arnold Palmer Hospital for Children has provided their services to the people of Central Florida for over 25 years and have been able to help families find an environment where hope and healing are inspired by the children that are treated. The staff of this institution makes your child's health their top priority. Austin's Coffee specializes in serving coffee and tea with only the most organic ingredients imported from around the world. They pride themselves on working with local farmers to ensure every ingredient they use is natural and environmentally friendly. They also serve treats such as sandwiches, salads, and numerous kinds of pastries. Austin's Coffee features live entertainment ranging from music and films to comedy and art shows. Barnie's CoffeeKitchen has been serving freshly made, award-winning coffee for almost four decades. Aside from serving coffee, tea, and hot chocolate, they provide breakfast, lunch, and brunch menus. There's even a kids menu for the little ones. A café full of delectable treats, Barnie's CoffeeKitchen aims to offer its customers only the best. Portuguese food made with a lot of love! Serving gourmet tacos and desserts! Orlando's Polynesian Food Truck, home of the delicious Original Pinëapple Drëam. This island inspired food has many customer coming back for more! The Blanchard YMCA Family Center resides next to Jay Blanchard Park in Orlando. It is used for recreational purposes such as Zumba classes and swimming, and it houses a fitness center. There are always events going on at this YMCA so check out the website for an updated schedule of events. Blue Bird Bake Shop has established its nest in the Audubon Park Garden District of Orlando has their own brand of coffee and bakes sweet creations from scratch. The best traditional Guyanese dishes available in Central Florida! Chef Bobbie mixes Indian and Caribbean flavors unlike any other food truck. 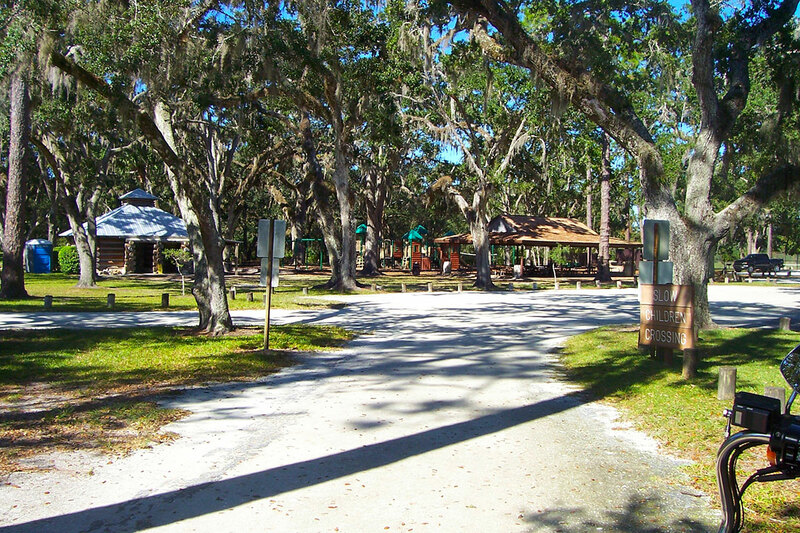 Cady Way Park is a small park in the city of Winter Park that caters to children. There is a great playground equipment set for them to run around and play on as well as a swimming pool close by. Parents can watch their kids from the benches or the pavilion that sits close by. The Celebration Theatre Company does three musicals a season. So all the musical theatre lovers in Orlando, especially in Orange County, should check it out. They have volunteer and production opportunities available. For all information about shows, volunteering, ticket prices, and auditions look at the website below. The mission of Central Florida Behavioral Hospital is to provide the kind of health care that patients recommend to their families and friends, physicians prefer for their patients, and in which their employees take great pride. Mental health and co-occurring substance abuse disorders are illnesses that may require intensive treatment. They believe in people’s innate capacity for healing and growth. With proper help and treatment, people suffering from mental health disorders and co-occurring substance abuse disorders have an excellent opportunity for recovery. This one of a kind food truck serving seafood from Maine throughout the US and one of the happens to be in Orlando! This family business specializes in seafood and is most famous for their crab legs. The Crayola Experience is a great one to share with your little ones! Geared towards children, they can create their own souvenirs with melted wax, play in the 2-story playground, star in their own coloring page, and even learn how crayons are made in a live show. With only four Crayola Experience stores in the nation, it's definitely worth the look if you're in the Orlando area. It's super easy access in the Florida Mall as it has its own entrance. Producing unique craft beer with excellent taste and consistent quality batch after batch. The brewery has an onsite tap and tasting room featuring flagship brands in addition to many other limited edition, seasonal, and specialty batches. They supply to the fanatical craft brew lovers in Central Florida with some of the best beer you’ve had. Anywhere! Disney's Fantasia Gardens Miniature Golf Course has two lovely 18-hole mini golf courses. "A Family-Friendly Adventure" is full of whimsical scenes and it's fun for all ages. If you're looking for something a little more challenging yet fun, give "A Thrilling Challenge" a try! Downtown CREDO is a coffee shop in Orlando that believes in connecting with its creative community. It prides itself on purchasing fresh coffee beans from Guatemala and Nicaragua. Whether you're craving a cup of coffee, tea, hot chocolate, or even an artistic atmosphere, Downtown CREDO has it. The Dr. Phillips Center is the main center of performing arts in Central Florida. It is made up of several different venues that host all kinds of shows and events in the heart of Downtown Orlando. This is a community park where the whole family can come together at one park and enjoy the day outdoors. It has everything for the whole family including a splash pad and nature path. The Drunken Monkey Coffee Bar was conceived to fill the need for Orlando to have excellent coffee and food everyone can enjoy. From plant-based choices to coffee sourced through fair trade, The Drunken Monkey is ethical and budget friendly. They also host local events such as stand-up comedy nights and art shows. El Potro offers a wide variety of flavorful homemade dishes and is one of Orlando's authentic Mexican restaurants. El Potro owns three locations in Central Florida: Winter Park, Orlando, and Apopka. Enzian is a member supported, non-profit organization which has been a cultural touchstone of Central Florida for over 31 years. Come enjoy alternative cinema, have a glass at the Eden bar, or attend the yearly Florida Film Festival, while having an experience that is simply Enzian. These premium, 100% beef hot dogs will keep you coming back for more. Joey Fatone, former member of NSYNC, started this food truck to share more about who he is and where he came from. We specialize in residential sales and property management, from condos to single-family homes to luxury estates and everything in between, helping buyers and sellers in Orlando, Winter Park and surrounding areas for over 35 years. Florida College of Integrative Medicine is a school located in Orlando, Florida. It has programs for acupuncture and oriental medicine. MFH is a support group for parents of homeschooled children in Central Florida. We accept all residents who currently homeschool, or are considering homeschooling, regardless of religious persuasion or beliefs. Are you unschooling in the Orlando area?? A relaxed homeschooler? If so, then this is the group for you!! :) While we do offer an online support group, we will be offering REAL LIFE events so our children will have the opportunity to make friends within the group. This is a secular homeschool support group for families with liberal political values; we believe in equality for all, regardless of race, gender, religion or sexual orientation. If you have had difficulty finding a homeschool support group that would accept you the way you are because you can't honestly comply with their "statement of faith" requirements, we can offer your children the opportunities to fulfill their social needs in a diverse group that accepts them as they are. Cooperative homeschooling group providing local support to families in East Orlando and surrounding areas. *We offer 12 week Fall and Spring Co-op Classes, (ages Nursery-High School offering a variety of classes including PE for K-12). Universal Orlando's New Nighttime Show is here, and you have to go see it before the end of the summer!